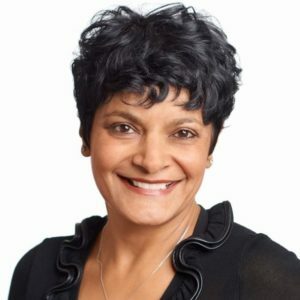 Kalpna Solanki is the CEO of the Environmental Operators Certification Program—the organization that classifies water and wastewater facilities in BC and Yukon, and certifies the Operators who work there. She holds a Master of Business Administration and a Bachelor of Science from Simon Fraser University, as well as a Diploma in Environmental Health from the British Columbia Institute of Technology. Kalpna also enjoys volunteering in her community, and previously she was president of the Canadian Red Cross Lower Mainland Region, president of the Simon Fraser University Alumni Association, and director with Big Brothers of the Lower Mainland. Currently, Kalpna is a director with the Investment Agriculture Foundation, and chair of the Canadian Water Wastewater Classification and Certification Committee. Kalpna enjoys spending time outdoors hiking with her two Belgian shepherds, and outrigger paddling in Burrard Inlet.